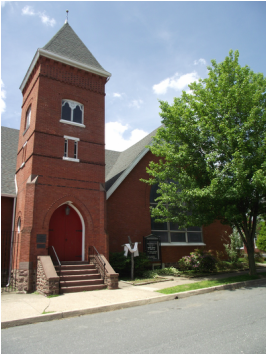 Originally founded in 1804, the congregation was known as the "Church at the Mouth of the Juniata" and was located in what is now a cemetery at the north end of Duncannon. The current sanctuary was built in 1888. Duncannon Presbyterian is a member of Carlisle Presbytery, the Synod of the Trinity, and the Presbyterian Church USA. Worship services begin at 10:30 a.m.
We are blessed to have two co-pastors, Roger and Suzanne Uittenbogaard. They jointly lead worship services and typically take turns preaching the sermons.